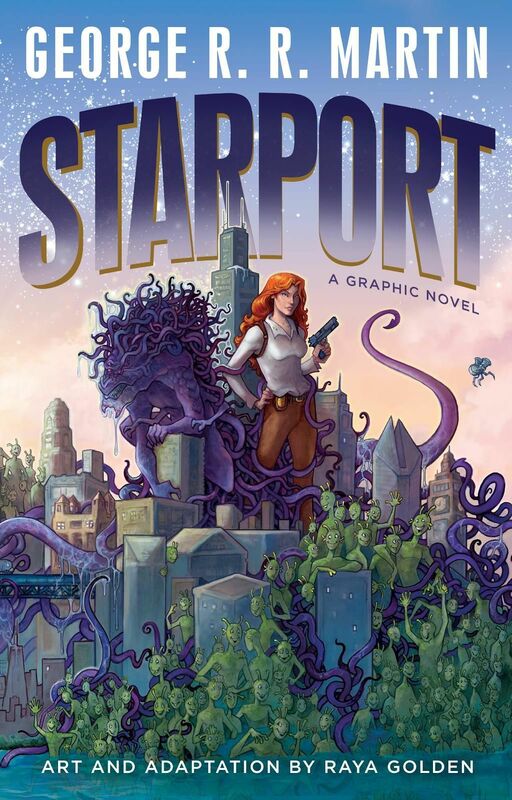 Starport, a massive 272 page graphic novel, is Raya Golden‘s adaptation of George R.R. Martin‘s unproduced pilot script of the same name. 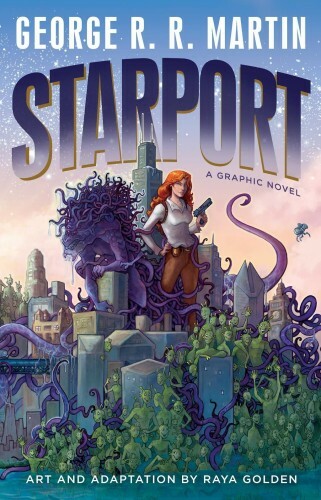 Featuring the travails of Chicago’s police force and the many different alien species who come to visit its starport (one of three built on Earth by the league known as the Harmony of Worlds). Martin himself pitched it to studios as “Hill Street Blues meets aliens”, while Golden has suggested more contemporary pairings—“Brooklyn 99 meets Babylon 5... the cast of NYPD Blue on acid, playing laser tag with Alf,” and those are all pretty apt comparisons for the tone of this adaptation. Humor comes first, but as with all of Martin’s work there’s other elements—drama, romance, and even a wee bit of horror. The A World of Ice and Fire app (iTunes, Google Play), the only official app companion to George R.R. Martin’s A Song of Ice and Fire series, has received a complete refresh providing a snappier user interface, new maps from The Lands of Ice and Fire, and additional as well as updated entries. Behind the scenes, the app also has had some changes to how data is stored which will make it much easier and quicker for future updates to take place. Those who already own the app can just update it via the appropriate store, and once you’ve opened it you’ll get the option to restore any of the packs you’ve acquired to extend the information in the app. 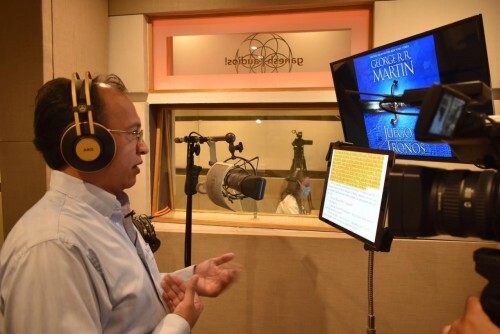 Linda and I have worked on this ever since its inception—when it started from the seed of the 70,000 words of “Who’s Who” material we had written for the 50,000 word-contracted The World of Ice and Fire (oops! )—and think Random House has done fine work integrating dynamic map markers and character portraits to give it that much more appeal and usefulness. Today, they’ve now released a sneak peek at four of the eight chapter headers their as-yet-unnamed artist has created. 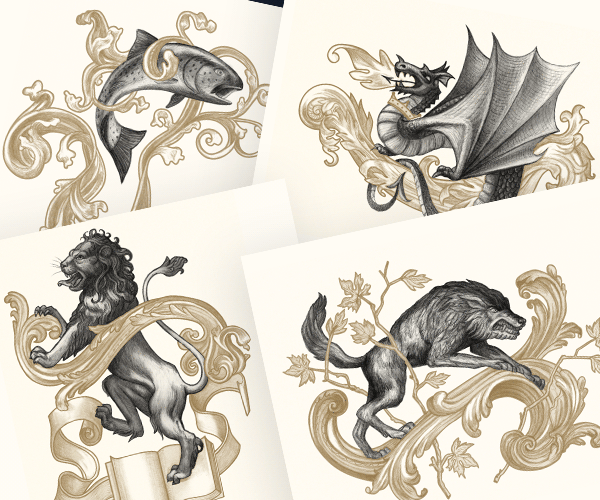 Each represents a specific character, and draws from the heraldry of their families. No release date has been announced as of yet, but the Folio Society has set up a dedicated page where there’ll be new information, as well as a way to sign up for e-mailed updates. Yes, finally, a video about Fire and Blood ... and it’s about a topic that, I suspect, was not an obvious one to talk about for most. But for me, this particular detail is potentially the single biggest piece of world-building in the entirety of the text. And it’s all because of A Caution for Young Girls. If you already know the gist of what the Caution is, and what manuscript culture is, jump to the 14 minute mark where I attempt to pull all the pieces together to explain why I think this is such a noteworthy expansion of our understanding of the setting. Also, as noted, the second segment had a recording issue and so I had to use a secondary audio source which doesn’t sound as nice as the rest; apologies about that! According to a report from Deadline, the SyFy/Netflix production of Nightflyers, an adaptation of George R.R. Martin’s award-winning science fiction-horror novella, has come to an end after a single season. 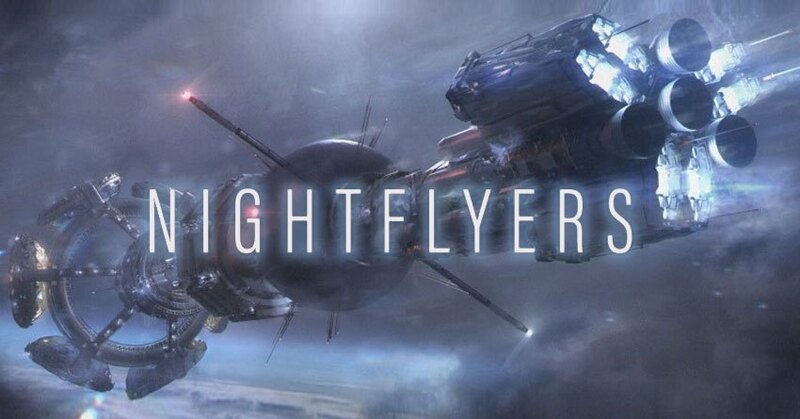 Nightflyers had been conceived as an ongoing series but I hear that following its freshman season run, Syfy brass concluded that it was better off as a one-off limited series. The options on the cast were let to expire, and one of the stars, David Ajala, was just cast as a lead in the CBS pilot Under the Bridge. This year’s European science fiction and fantasy convention is Titancon, based in Belfast, Northern Ireland; it runs from August 22nd to August 25th. Founded as the world’s first Game of Thrones-focused convention, it has for years now provided fans a chance to meet notable authors and actors. As a full-on Eurocon, however, this year’s Titancon will be the largest ever, and will feature scores of authors, artists, and creators. And to mark such an occasion, Titancon has just announced—after a long silence—that they have secured George R.R. Martin as their guest of honor. Suffice it to say, Titancon’s organizers have for years been interested in bringing George to Belfast. This will be a rare opportunity for fans to take part in a European convention where George is in attendance, and in a location that has won global attention as the home of Game of Thrones. We’ve had the pleasure of having visited several times (including attending a previous Titancon), and think there’ll be a lot of interest for fans of George, of fantasy and science fiction, and of course of Game of Thrones. For one thing, the touring exhibition will be in Belfast, and for another just a week prior Dublin will be hosting the 77th Worldcon (which George will also be attending—as will we!). There’s quite a lot to see in Northern Ireland for those interested in Game of Thrones tourism, as we’ve covered before. George at Titancon just makes this August all the more tempting a time to visit. This limited edition—52 lettered (all sold out) and 750 numbered—includes some bonuses over the standard edition that was published last month. It contains all the same art from the talented Doug Wheatley, but augments it with full-color artwork (such as the piece above) by the legendary Gary Gianni. 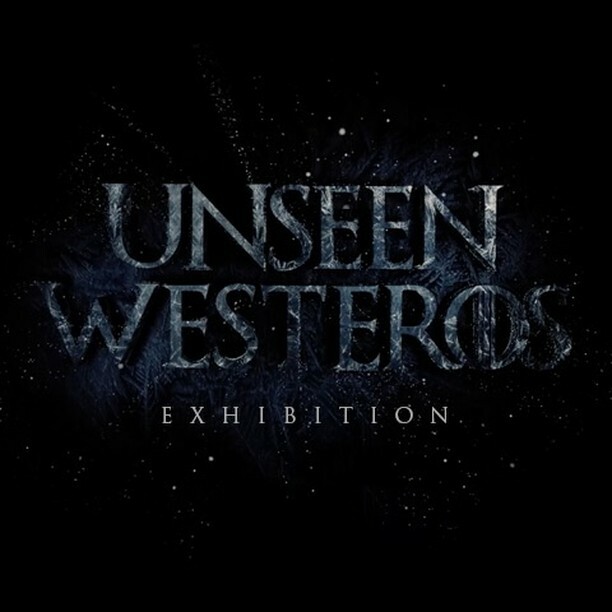 Well-worth grabbing if you are a collector, or simply a fan of Gianni’s renderings of Westeros. 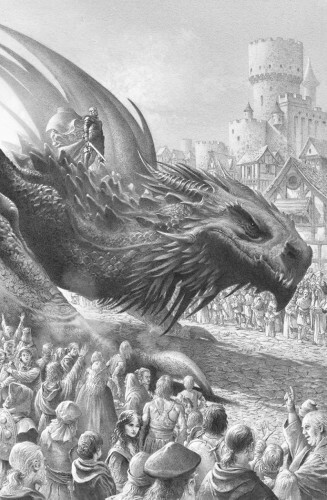 His illustrations for A Knight of the Seven Kingdoms show just how amazing his work can be. Though the initial, ambitious exhibition fundraiser did not quite pan out, the organizers behind the amazing Unseen Westeros project have bounced back with a new initiative that’s done very well indeed! The new Kickstarter has already beaten its goal as it provides funders the opportunity to support the artbook, with any funds raised beyond what’s needed to produce the books to be put towards realizing the exhibition in some form (perhaps in a new location, or for fewer days) with a prospective exhibition date still set for January. There’s just one week left before the Kickstarter closes out, and it looks like it will be the only way to get a hold of the professionally-printed, 150 page art book featuring all the artworks by professional artists. Fire and Blood is now out in the wild! Fans at our forum are already wading into it. Also timed with the launch of the book, a last promotional video from George discusses how useful Fire and Blood could be for Daenerys, but alas, she has no access to it. The video was posted exclusively at Esquire. Linda and I are planning at least a couple of videos about the book, and we’re even considering doing a livestream to interact with viewers directly, answering questions or discussing ideas they may have. Keep an eye on the site as well as Twitter and Facebook for news on that! A trio of new Fire and Blood excerpts have been released since our last post, as well as a new #TargaryenThursday video from George R.R. Martin, one that bears commenting on. The first of the new excerpts actually comes from the Russian publisher, published on the website of the Russian edition of the magazine Maxim, and of course is all in Russian. But Google Translate can help make it understandable, even if there are some quirks. One thing I will note is that it’s clear that the translator had to work off an earlier draft of that particular material, as there’s at least one detail that was changed by the final version of the book. 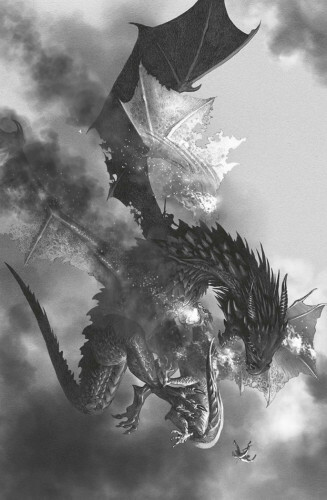 The second excerpt comes from Entertainment Weekly, and covers material already published for the most part in “The Princess and the Queen” and The World of Ice and Fire, but contains some new details that had been edited out. And finally, the Times of London has another excerpt, although it is behind a paywall. The text makes it sound like it, too, will largely contain material already previously seen, but again some new details may slip out. 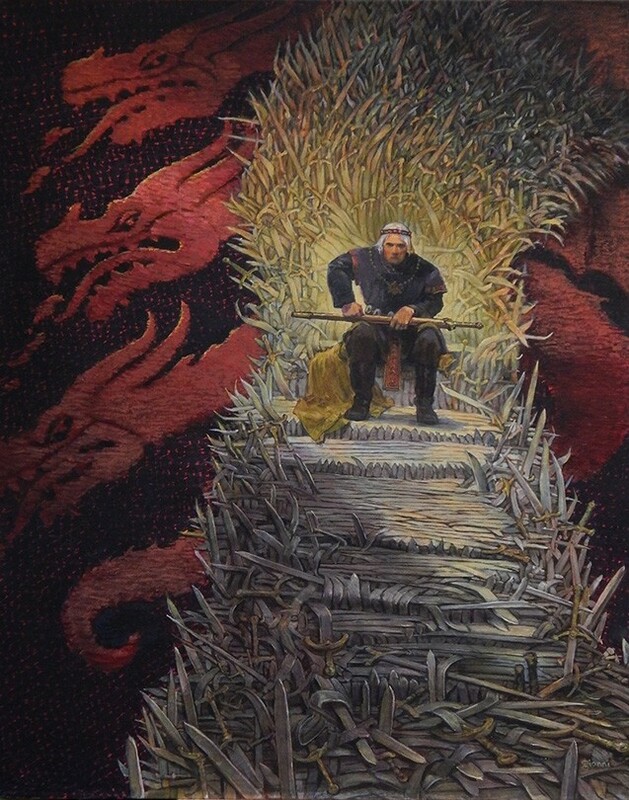 While George and other members of the Wild Cards Consortium have been hinting that big things are afoot with the Wild Cards universe, including in GRRM’s recent “Not a Blog” covering a wide range of matter including a status update on The Winds of Winter (yep, still working on it! ), they have been quite cagey about the specific details. So far as we know, this is the closest that Wild Cards has come to seeing production, although it’s not entirely there yet. However, the THR article frame this as being part of Hulu’s play for a franchise, because franchise television is becoming an increasingly major aspect of the broadcast and streaming portfolio (as Game of Thrones fans know very well; the other obvious example is The Walking Dead on AMC, which has revealed plans for more spin-offs, including feature-budgetted films). Wild Cards presents a unique opportunity as one of the most developed superhero universes outside of the major comic publishers, with stories spanning from 1946 on to the present to draw from. For my part, I hope one of those series would closely track to Wild Cards, the original novel that started it all. It rapidly covers the period from the release of the alien virus in 1946 to the early 80’s, which the books that follow use as their starting point. Seeing the stories of Dr. Tachyon, Golden Boy, Croyd Crenson, and more would work very well as a way to quickly build the reality that a series set more in the present day might exist within. 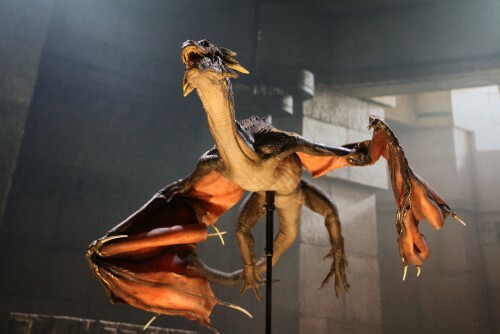 The Hollywood Reporter has released an exclusive excerpt from the forthcoming Fire and Blood. This excerpt is from a piece originally written for The World of Ice and Fire, providing some details regarding Aegon I’s reign after the Conquest, including the development of King’s Landing as the royal capital and the founding of the Kingsguard. The book will be released on November 20th. If you missed it, we have an exclusive interview, as well as exclusive art, from Doug Wheatley who provides the book’s interior illustrations. On this #TargaryenThursday, we’re publishing an exclusive interview with Doug Wheatley, the artist whose work is featured throughout the forthcoming Fire and Blood. A veteran artist long associated with Star Wars comics, Wheatley has a wide portfolio, including having provided illustrations for our own The World of Ice & Fire (a fact we reference in our first remark).